KIA Motors has announced that it has opened its new community-run auto mechanic training centre in Ethiopia. 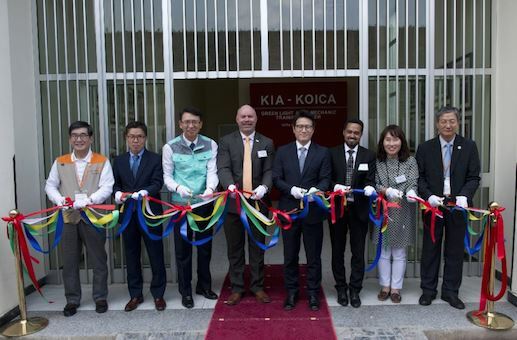 The new Kia-KOICA Green Light Auto Mechanic Training Centre forms part of the automaker's ‘Green Light Project’ corporate social responsibility programme. The training centre is located in the Lideta area of Ethiopia’s capital, Addis Ababa and is made possible through the estimated US$1.8 million investment by KIA Motors and the Korea International Cooperation Agency (KOICA). The centre is jointly operated by ‘World Vision', a relief, development and advocacy non-governmental organisation dedicated to working with 100 million people in countries around the world. The facility employs residents from the local community and plans to take on around 60 young trainees each year. The centre enables trainee mechanics to work towards a range of vocational qualifications, while providing a short-term training programme for drivers. KIA estimates that the auto mechanic training centre will have a positive impact on the lives of over 2 000 local citizens, and it plans to develop the site by supporting the establishment of an adjacent local repair shop, creating further jobs and opportunities in Lideta and Dandora.